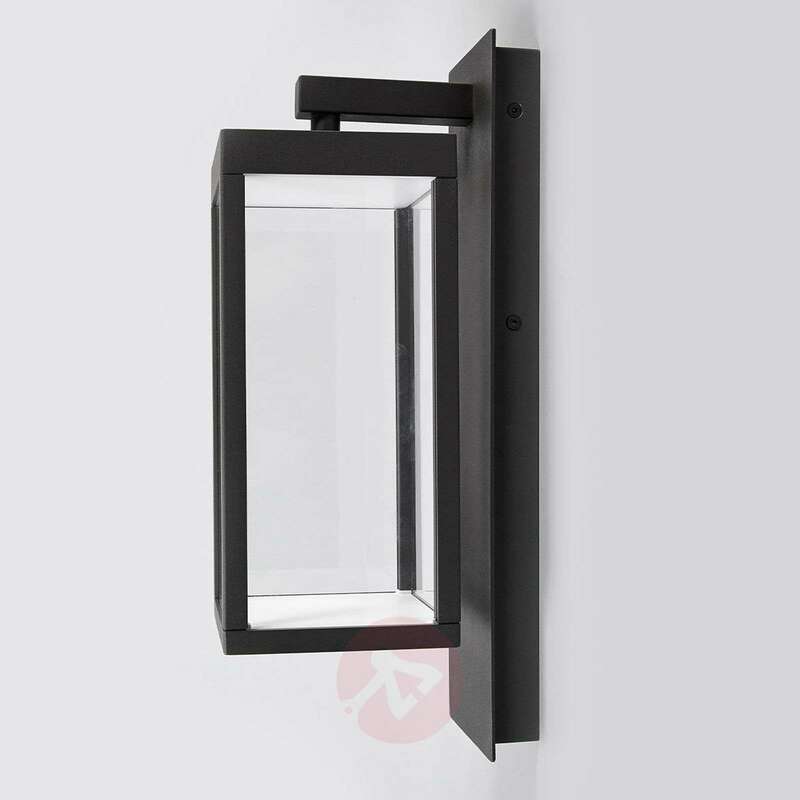 This LED outdoor wall light has a dark grey metal frame with clear glass panels so that the wall light is transparent. 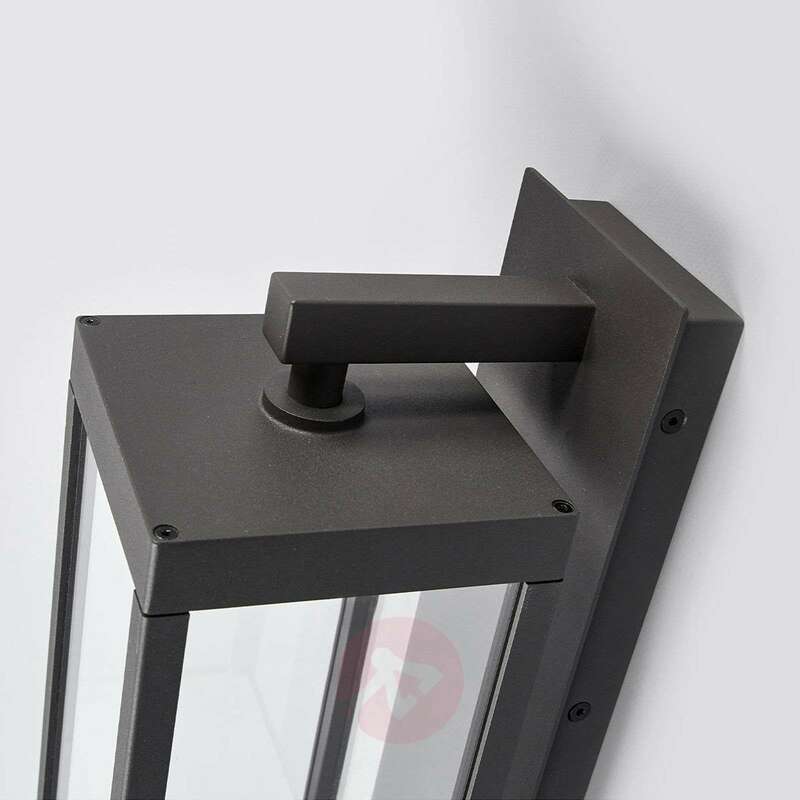 The light output of the LEDs is therefore unhindered so that the outdoor wall lamp provides a good level of brightness around the building. The lantern shape is very traditional in terms of outdoor lights - it dates back to the days before electricity and gives the lights a very classic look. 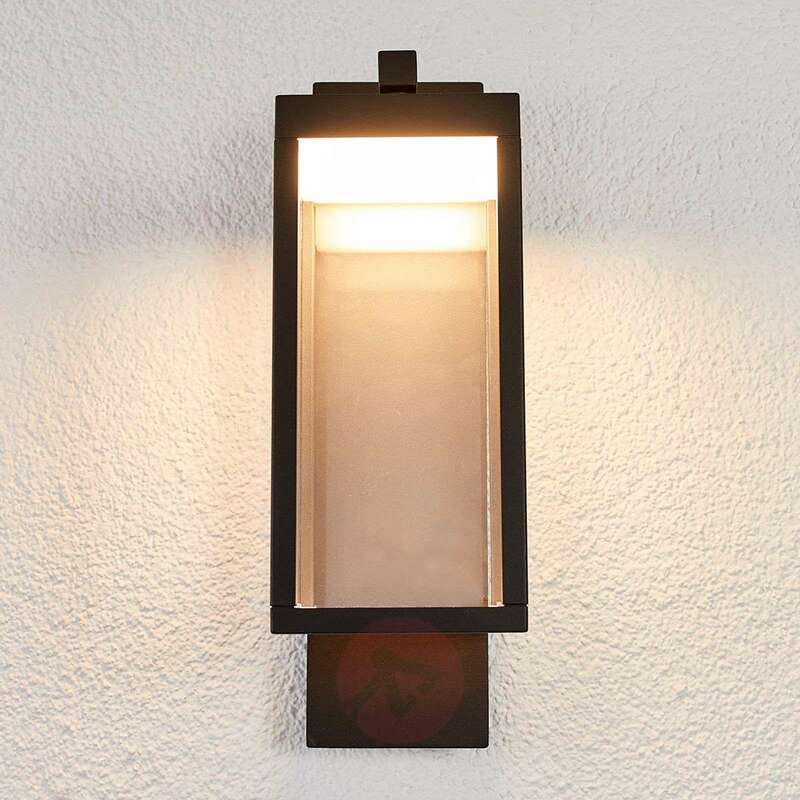 This is not the case here though - this light is a modern interpretation of classic lantern lights. 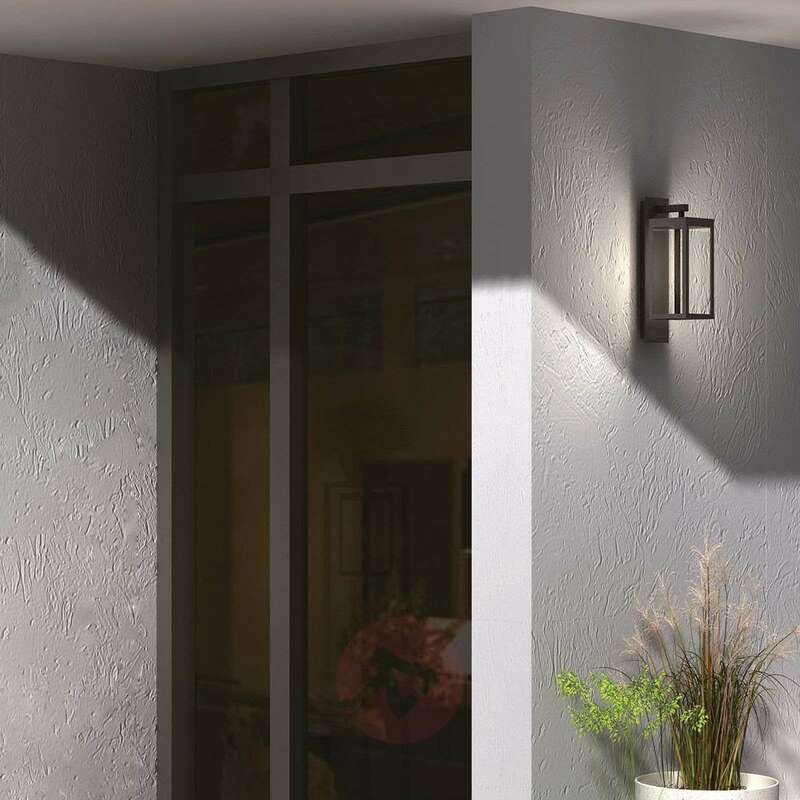 A beautiful eye-catcher for modern architecture. 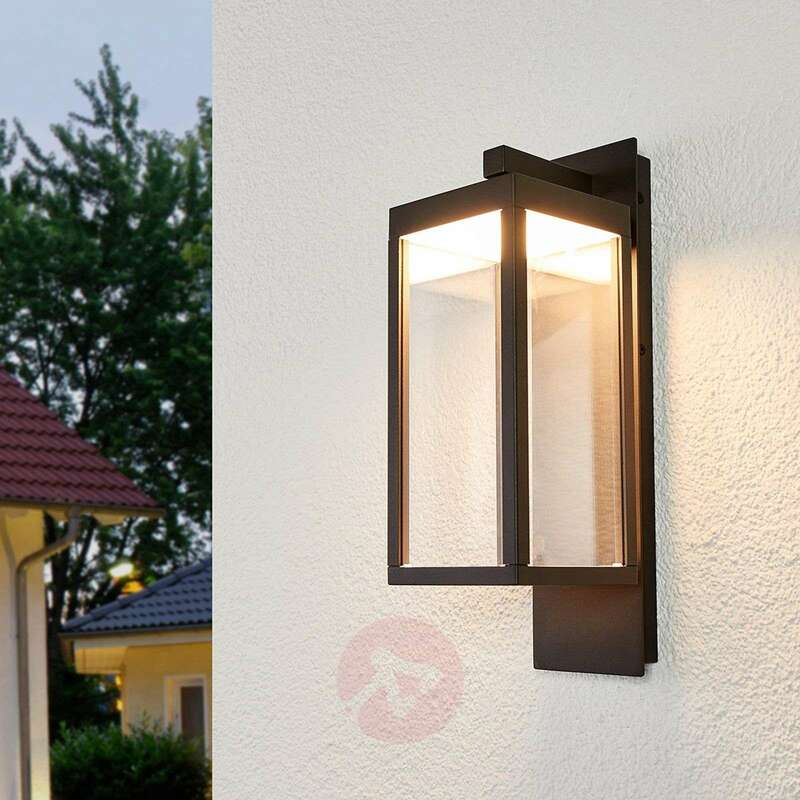 Thanks to its unique design, the LED outdoor wall lamp is winner of the well-known Red Dot Award. 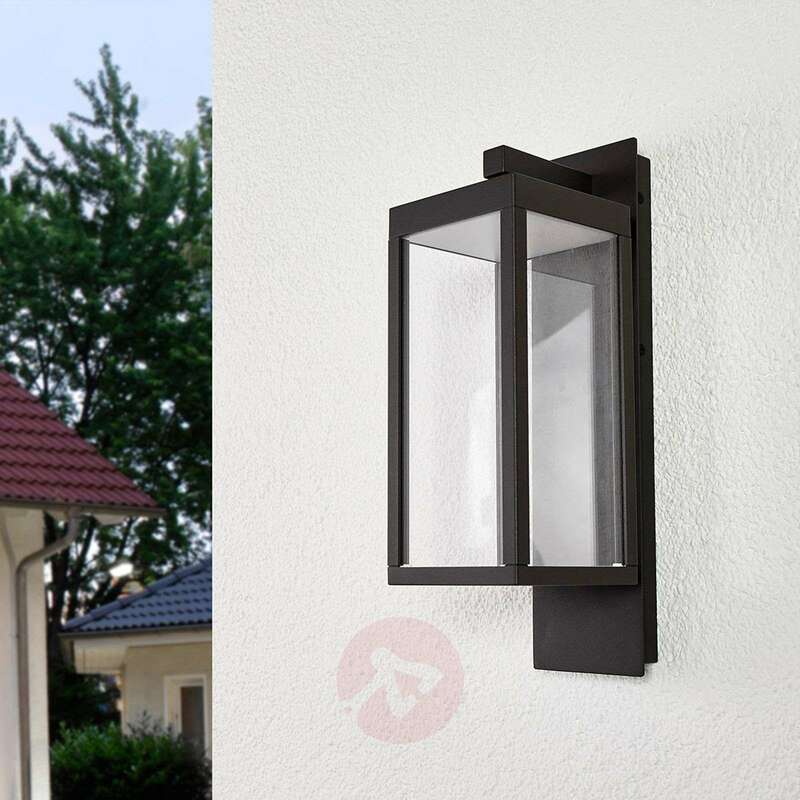 What are the actual dimensions of the glass lantern part, ignoring the back wall plate. 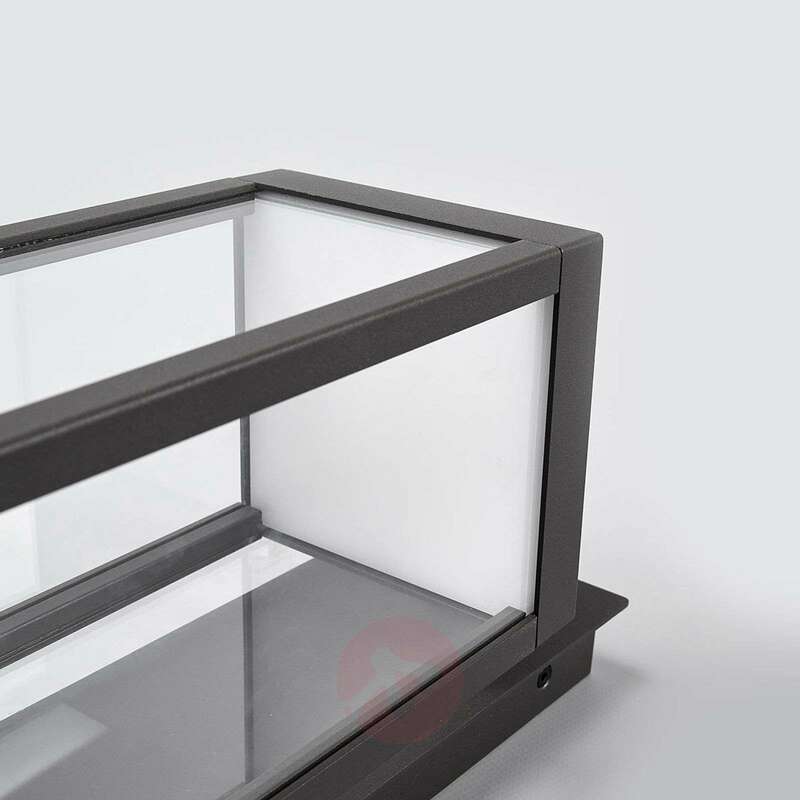 The dimensions of the glass box (lantern) amounts to (W)12 x (D)12 cm. 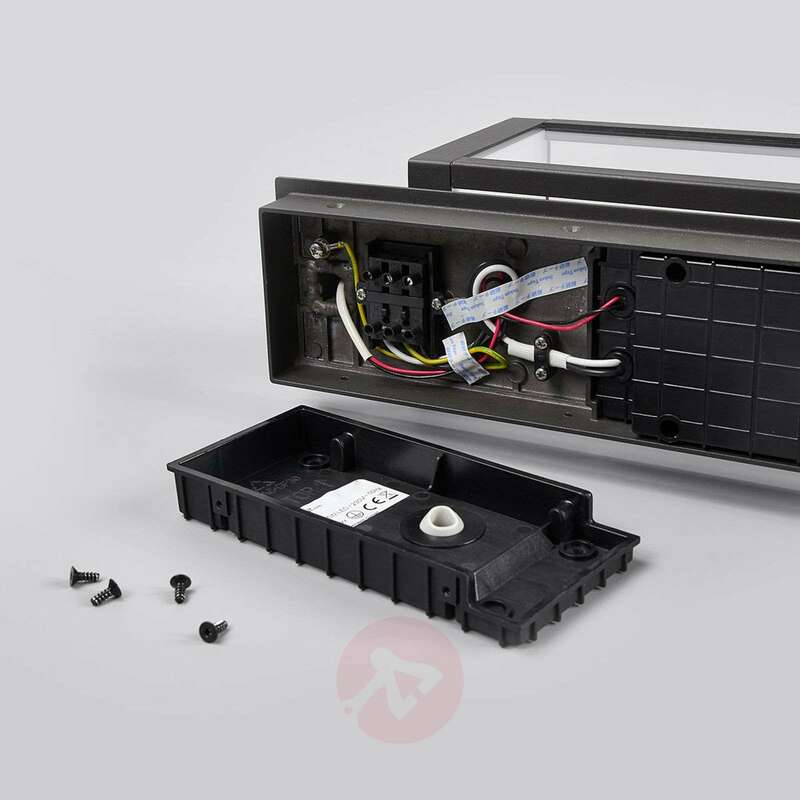 Unfortunately the actual length is not made available by the manufacturer however will be approximately 27 cm.